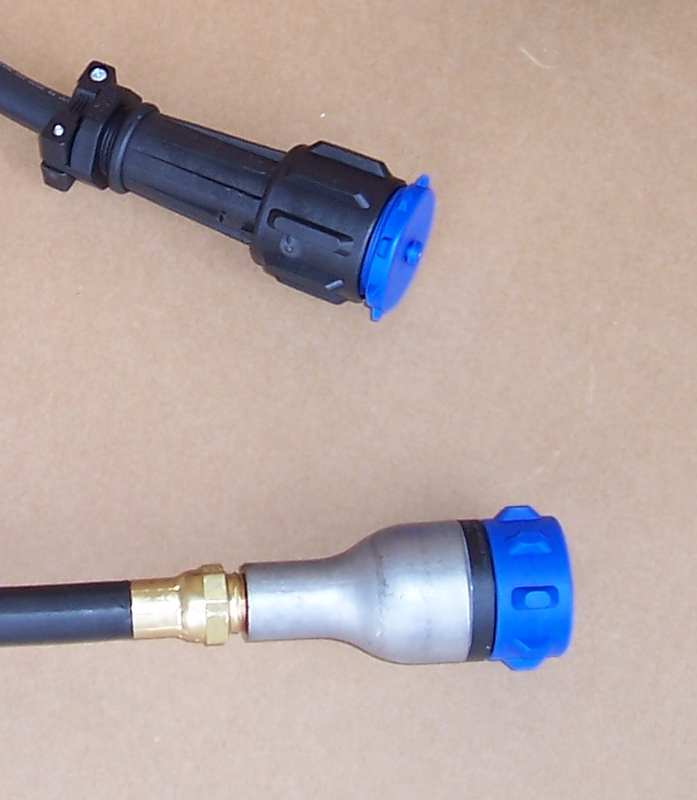 A major consideration when purchasing a fountain aeration has to be the cable disconnect. Without a cable disconnect, any time the fountain needs to be removed for service, maintenance or winterization, ALL of the underwater cable will need to be removed with the fountain. In most cases, the underwater fountain cable isfed through a conduit pipe, buried underground and is probably covered in vegetation, algae and mud. Removing this heavy, wet and slimy cable is normally impractical and can add significant expense and headache to routine maintenance. 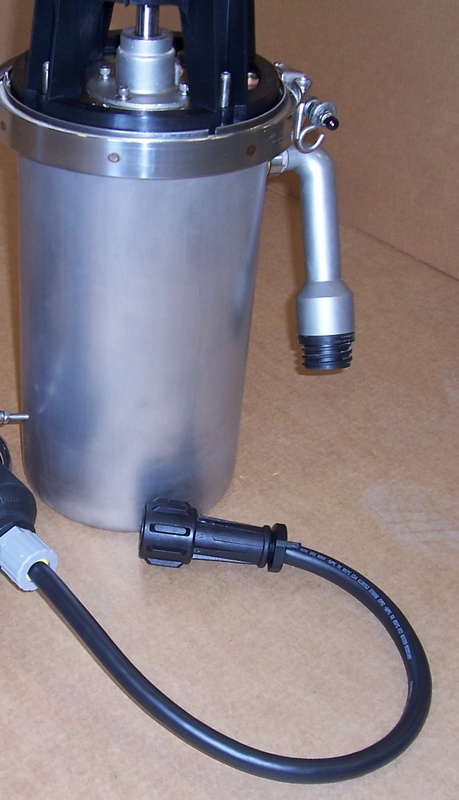 Commercial fountain manufacturers have tried for years to come up with a "user-friendly", watertight, threaded cable disconnect. The AquaMaster AquaLock (ALC) is the best cable disconnect available. 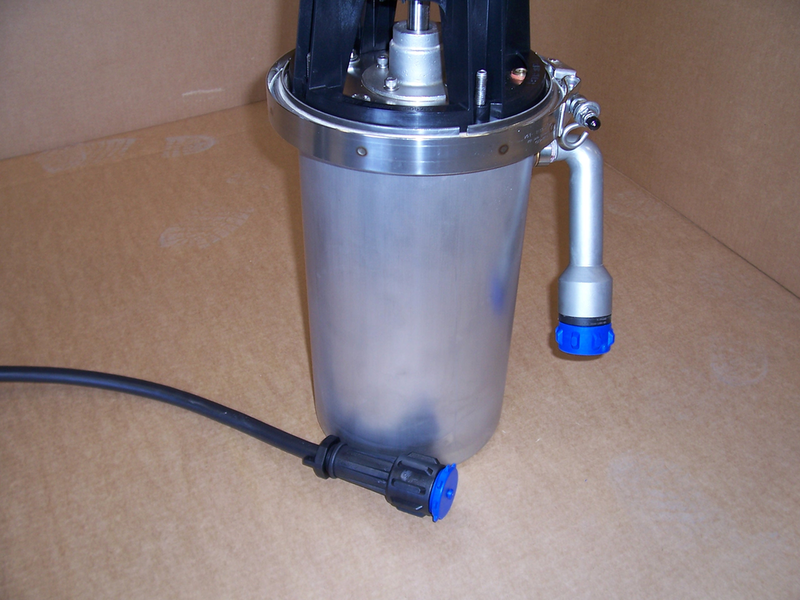 The AquaMaster AquaLock (ALC) is a large, "beefy", threaded connection that is easy for the installer/technician to work with in any seasonal condition (i.e., cold, wet, muddy). No more accidentally pulling the cable out of a tiny, plastic threaded locknut. This feature alone sells AquaMaster fountains over other brands. 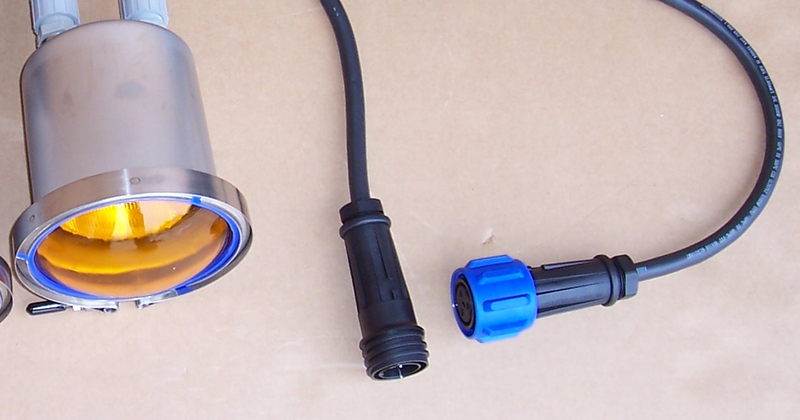 To connect the cable disconnect assembly, simply line up the slots and guide bars in the aqualock halves then hand-tighten the disconnect nut. Protective Caps come with every new purchase and maintain a clean cable environment. There is only one cap model (blue) for each end. 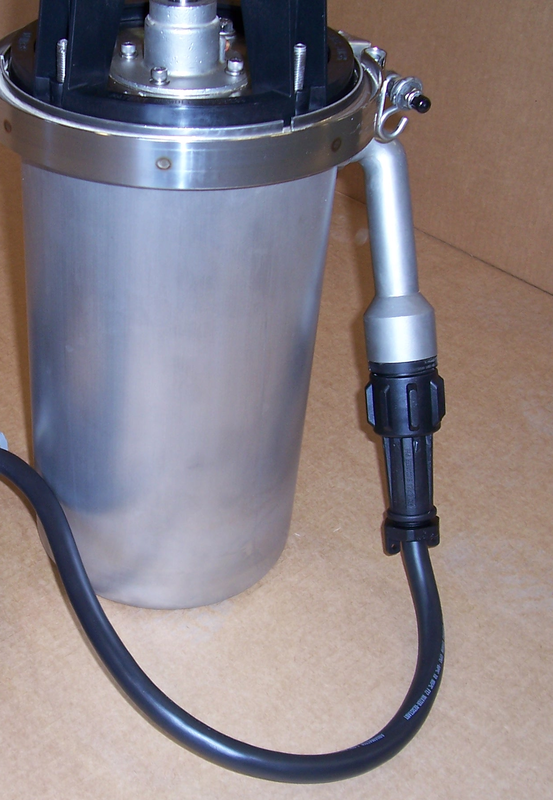 Simply hand-tighten one half to your power unit and the other half to your cable end. When you remove the Protective Caps, keep them in a safe place, such as the control panel.